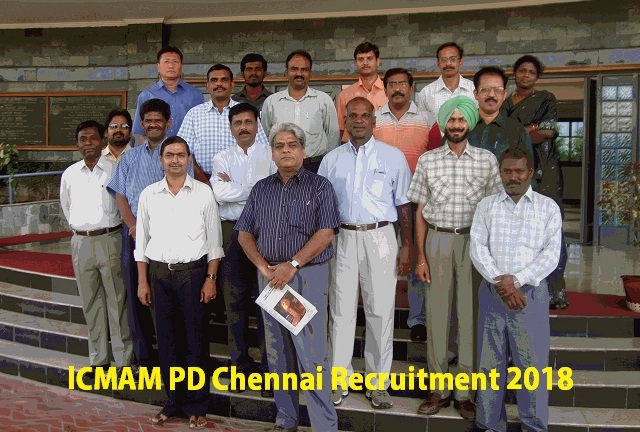 ICMAM PD Chennai Recruitment 2018 2019 Apply Online Application Form for 62 Project Scientist, Technical Assistant, Field Assistant Posts Apply Online through Official website. ICMAM PD Chennai TA, FA, Scientist Jobs Notification 2018 Released. The Interested Candidates are requested to apply online through Official website http://www.icmam.gov.in/rect1.htm. The last date for submission of Online applications is 14.03.2018. ICMAMPD Chennai Recruitment 2018 62 TA, FA, Scientist - Apply Online. The link for online Application is available at http://www.icmam.gov.in/rect1.htm. Applicant has to fill the online application and upon submission, each application will be assigned a system generated reference number. Applicant has to take printout of the submitted application, duly signed and send to ICMAM- PD, with the requisite self attested copies of certificates and documents. Also, ensure that the system generated Reference number is printed in the hard copy application form, before sending the application.